*Lactation rooms are kept locked all the time and the mother would need a key to enter the room. The front desk will have a copy of the key. Funnelle Hall was opened in September 1965 and it was quite innovative in terms of its floor plan. At the center of each floor was an “island” section that housed the bathrooms, laundry facilities and trunk rooms. In addition to the basic necessities, personal study rooms are available on each floor for the hall's 500 residents. 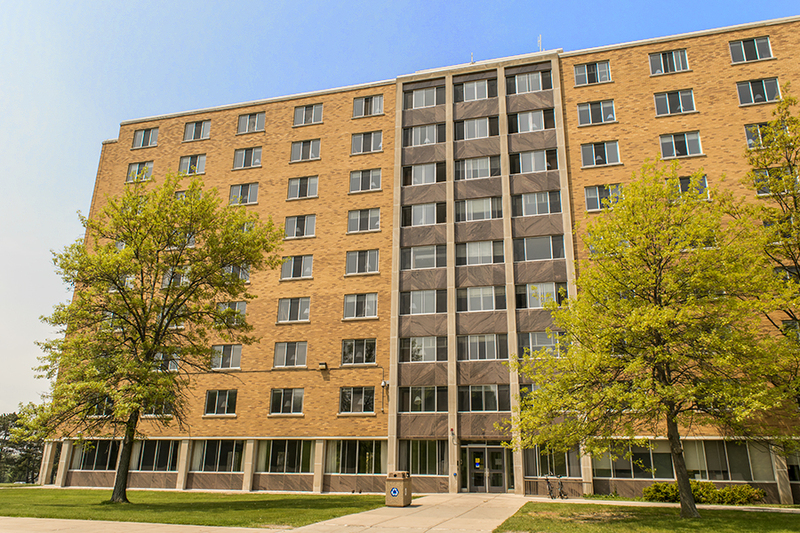 The first residents of the dorm were women, but the building was intended to be coed and it was the first dorm built on campus with the intent to be coed.There is a male and female Resident Assistant on each floor; allowing for 24 double rooms and 2 single rooms on each level. Laundry facilities have been relocated to the basement for the entire dorm to use, but bathroom facilities and storage rooms are still on each floor. Funnelle Hall was named after Amanda Funnelle who graduated from the original training class at The Oswego Normal School and taught at the young institution from 1862 to1864. She also headed the kindergarten teacher’s preparation program from 1882 to 1911, serving more than 30 years total as a teacher at the Oswego Normal School.